Just returned from my trip to Greece. Confirmed working at number of shops, hotels, ATMs, restaurants in Lefkada, Parga and Praveza. Exchange rate was better than the exchange rate I got in London the day before my trip. I’m heading to Greece within the next two weeks, Malia to be exact. Not relying on it but I will test it out just to see how it fares over there. In Athens I had trouble paying with any sort of card in 2 restaurants. One waiter tried to explain something to do with credit control and the banks shutting down their card readers at the weekends or after a certain amount of payments or something. His vocabulary obviously doesn’t normally cover such things! This was in 2 smaller restaurants, Starbucks and some independent shops in the Monastikiri did still accept cards…But otherwise I found Mondo was accepted in quite a few places I hadn’t expected it to. And some Greeks love hot coral too!! I recommend taking some cash as well or at least asking if you can pay by card BEFORE ordering!! Just had my first rejection - an ATM, of all places (and frustratingly this village’s only one!). Fortunately, places I’ve been so far have accepted card, so (having spent my euros on unforeseen petrol costs) I wasn’t left hanging dry. I’ve just used it recently in Greece too, worked like a charm. Pubs, Acropolis ticket, Taxibeat app, stores, airport cafe were all good. Currently on vacation in Greece, have used contactless at a couple places without any issues. However, if you’re visiting try and have some cash on you, not all places accept cards, even in Athens. Will try and update this at the end of the trip. Using Monzo in Crete. Worked at ATM - they really try to push their currency conversion but ignored two chances to convert and stayed in € and seem to have got very competitive rate. Error message came up when did contactless transaction at Botanic Gardens but it then went through fine, so stick with it. Contactless very common in Crete, so very useful to have no fee contactless card. Currently holidaying in Corfu card worked fine contactless in Lidl and gave a great rate. Just back from a 10 day trip to Greece. 5 in Corfu for a Wedding, then 5 in Athens for some Culture. Corfu, (like I assume many of the islands) prefer cash in most places and many don’t have Chip/Pin machines, though some of them will just try to tell you they don’t… That said, when using the card there had no problems, my partner used it to pay for a hotel, I used it in the airport, and even in a supermarket contactlessly. Though most Restaurants/Bars were cash only. That said there were plenty of ATM’s to be found. Anyway going to Greece -Corfu kanoni beach in a week super excited will tell you how it goes ! Has anyone used their card on the Greek island of Lesvos (aka Lesbos)? Specifically in Mytilini? I saw in an older forum post that Alpha bank doesn’t like Monzo cards - is this still the case? Thanks! It would be good to get some feedback from Monzo customers visiting Greece in August 2017. 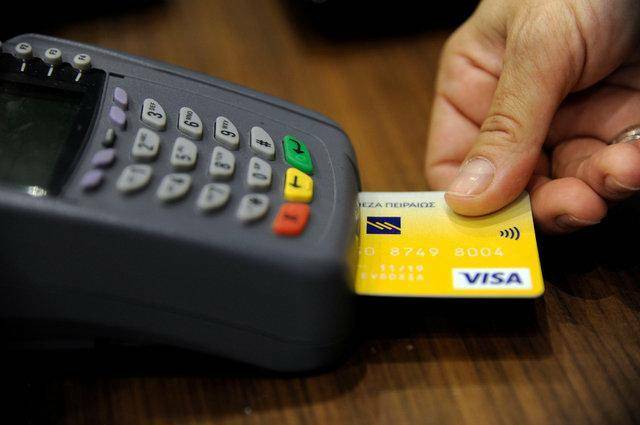 The Greek government introduced new rules mid April giving a 3 month deadline to firms in certain industries to have POS machines so customers can pay by card! Hotels, travel agencies and car hire businesses across Greece have three months time to install POS devices enabling customers to pay by credit card. I’ll be in Athens + islands beginning of August, I’ll try getting back to you on that. Athens should be ok though, nobody is willing to spend cash given that capital controls are still active so most places do accept cards. It’s just not that much in the culture yet, e.g. I get some weird stares when attempting to buy something that costs 1-2 euros through contactless. One thing that you cannot get by card normally is transportation tickets, machines are cash only (there is an app where you can supposedly get tickets on your phone charging your card but I have never used it). I’m intending to use mine in mainland Greece (not Athens) in 3 weeks. Whilst it is the mainland when last there POS transactions were hit and miss in terms of working and availability. I will post my feedback whilst there and when back. I think a lot of places in Greece work on cash and are reluctant to use cards - that’s my experience over the last 5-10 years of visiting. The Greek government introduced new rules mid April 2017 giving a 3 month deadline to firms in certain industries to have POS machines so customers can pay by card! so hopefully it may be easier this time! Thank you and I’m aware of that but knowing Greece and the Greeks as I do there will be numerous issues using cards there. I’m not calling the country nor the people as I love both. They on the whole seem quite cash focused. I’ve used fairfx card in the past and have had issues in the past not with them but ATMs and POS terminals. I was a regular visitor to Greece and its islands throughout the 80s, 90s and early 00s. The cash culture has always been strong there and in my opinion (yes I know others will differ) it’s the main reason for the Greek financial crisis. Whilst I rarely had issues with getting cash at ATMs I found that at most shops and restaurants cards were not the preferred method of payment… and that’s putting it politely!